High-grade cordless drill/screwdriver with unique, patented thread-tapping function. Quick and interruption-free cutting and cleaning of threads due to automatic change of direction of rotation. Keyless chuck inserting taps with square and cylindrical shanks. Complete with quick change tapping chuck, 2 x 5.2Ah batteries, carry case, side handle and belt hook. 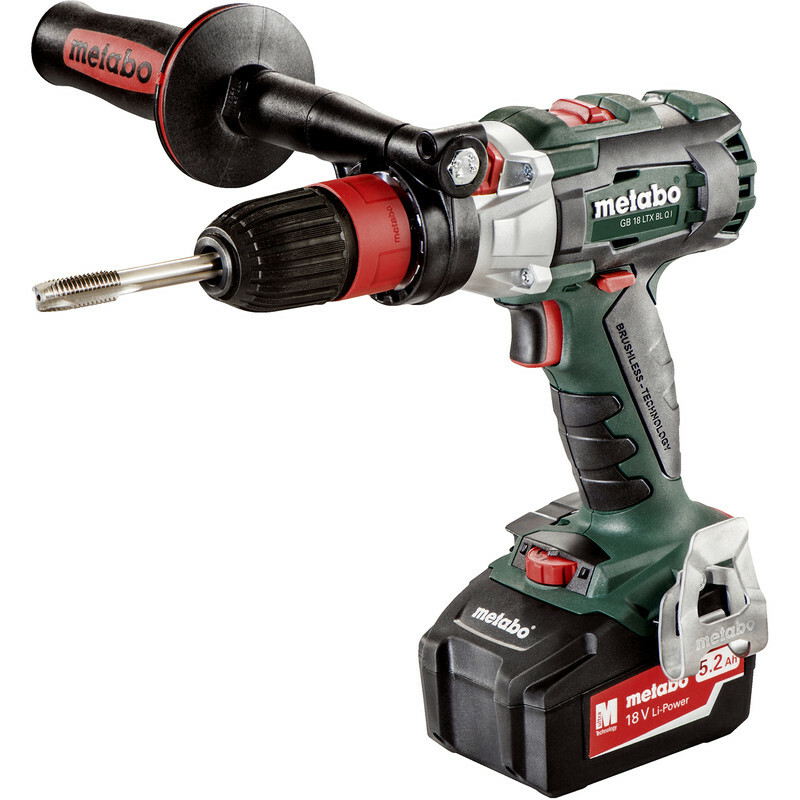 Metabo GB 18 LTX BL Q I 18V Brushless Cordless Tapper Drill Driver 2 x 5.2Ah is rated 5.0 out of 5 by 1. Rated 5 out of 5 by Anonymous from Great niche product fantastic for tapping holes, really powerful. A lot of flexibility with it being cordless.